Features UN approval with 15 psi m.a.w.p. 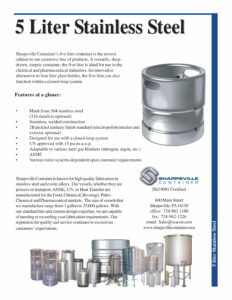 At Sharpsville Container, we have years of experience manufacturing 5 liter containers to solve various customer needs such as process/transport, ASME, UN, Heat Transfer, and more. Our containers have been used extensively in many industries such as food, chemical, beverage, and pharmaceutical. No matter your need, Sharpsville Container can supply a standard or custom designed vessel for your operation. 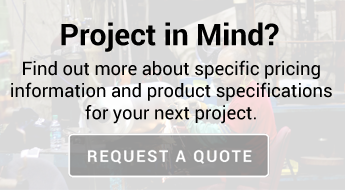 Contact us or request a quote today to get started!